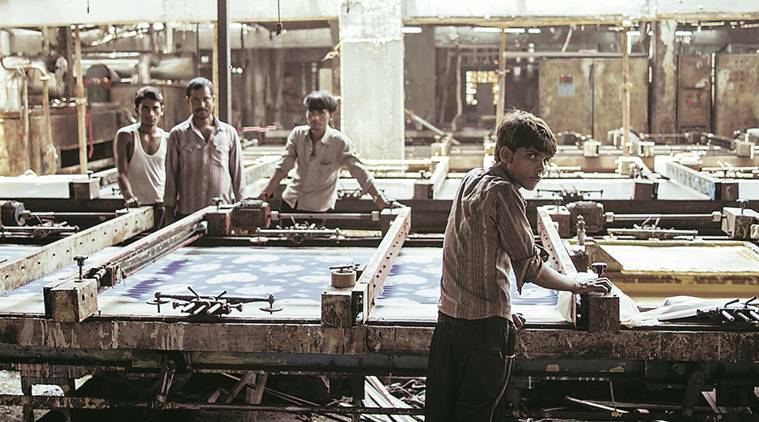 Rahul Jain‘s documentary film Machines presents an intimate portrayal of life and work in a gigantic textile factory in Gujarat, India. Premiered at IDFA,Netherlands in 2016 and an official selection at Sundance Film Festival 2017, the film examines the dehumanizing physical labor and hardship in the factory, exposes the pre-industrial working conditions and the huge divide between first world and developing countries. Though “Machines” only portrays one of these factories, it also represents the thousands of laborers as well.